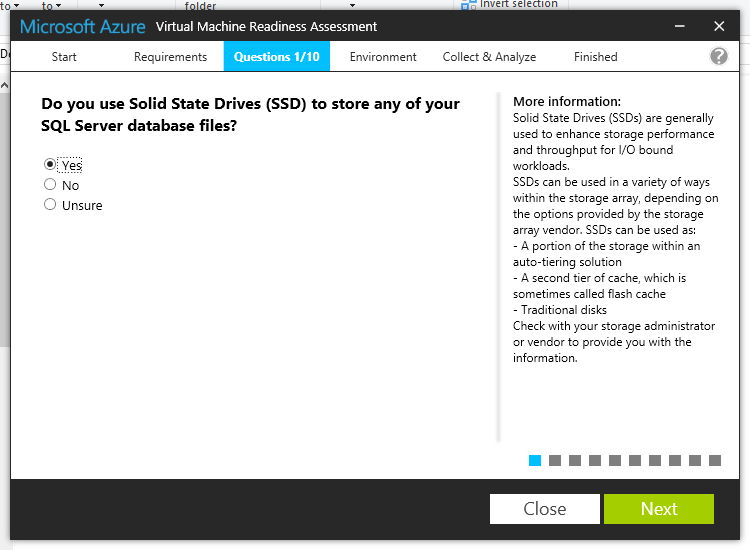 But keep in mind that the Disk space is just temp space and if the VM is turned off all the data is gone!! 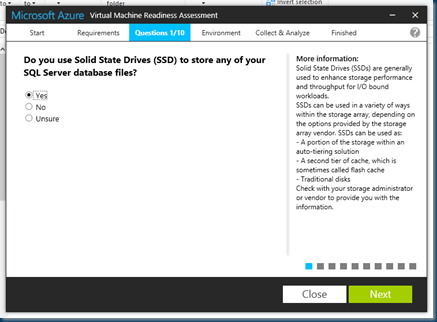 6TB disk space sound nice but is only for Temp Stuff and not suitable for storing your data!! 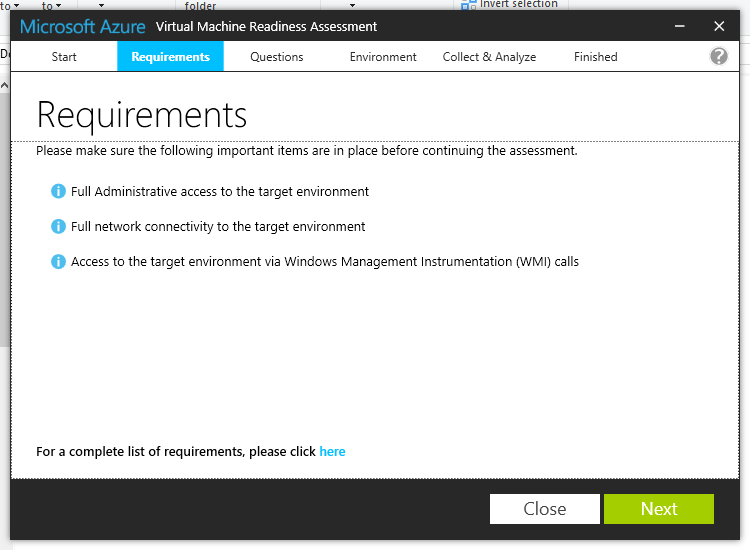 So just for a demo setup you could have nice machines for little costs. 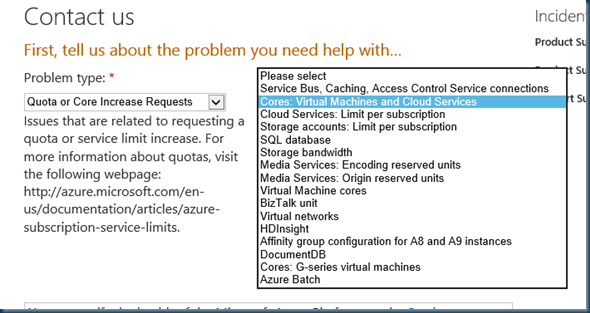 At this time G-Series VMs cannot be in the same Cloud Service as A-Series, D-Series or DS-Series VMs. 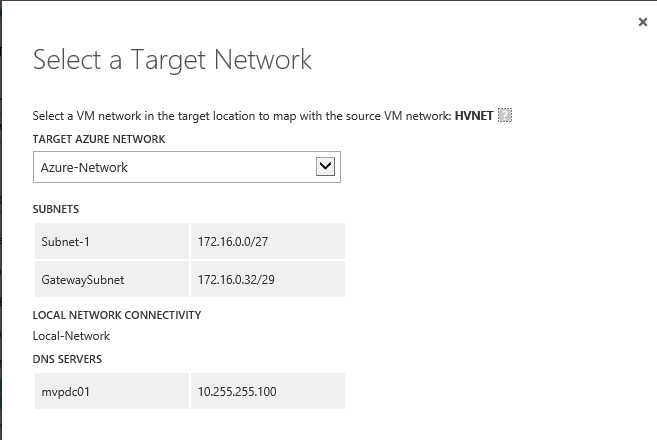 These different VMs can be place into the same Virtual Network as long as it is a Regional Virtual Network . 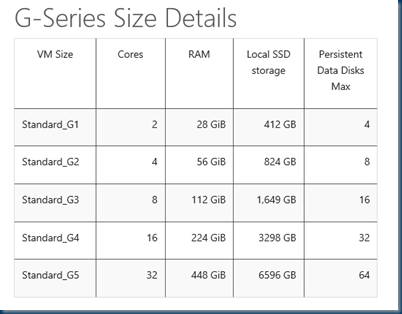 Additionally, resizing an existing Virtual Machine of any other series to a G-Series size is not supported at this time. 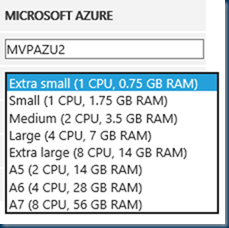 Please delete and recreate the Virtual Machine using existing disks to change the size of an existing Virtual Machine. 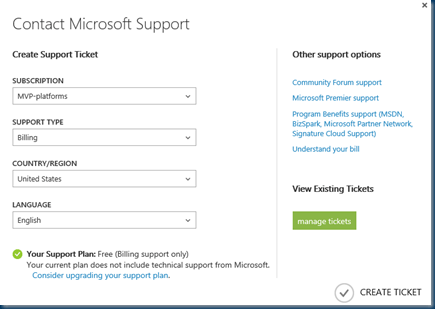 To extend this you need to create a Support Ticket ( no costs ) and even the Upgrade is Free ! 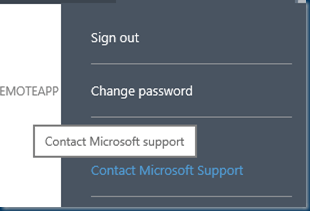 Click on your email right top screen and there is an option Contact Microsoft Support. 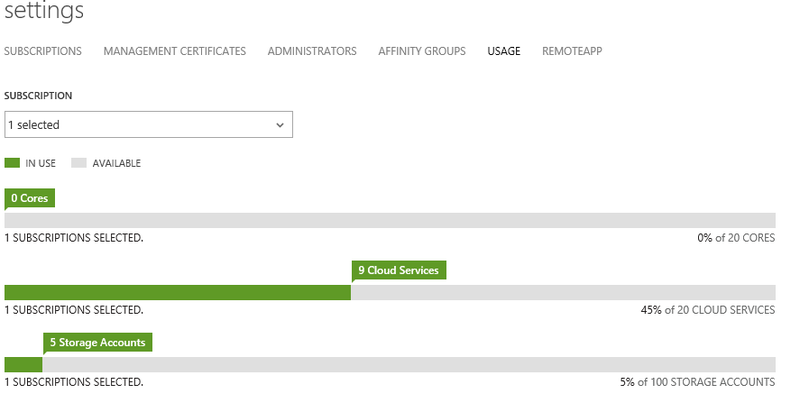 If you have Multiple Subscriptions then pick the right one for the upgrade. Just give a simple text on what you want. see also the sample. In this case there is no need to speed things up so Class C is fine for me. Even I picked C the upgrade was done within 60 Minutes. Great Service ! 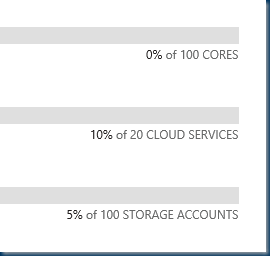 and after I checked if the Call is executed like I asked I saw 100 Cores and 100 Storage Accounts. 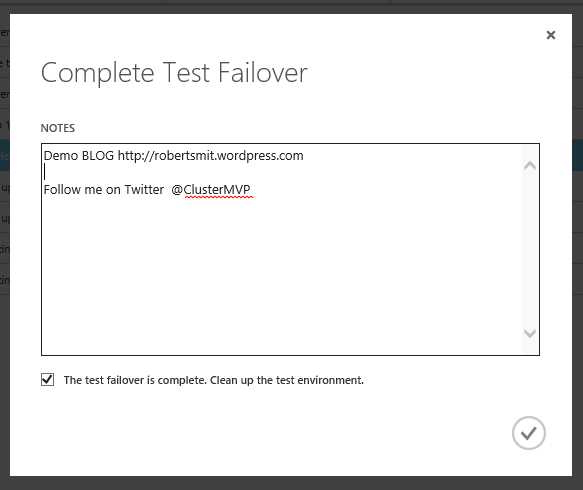 In the Next Blog post I will create a Big Cluster With all the Hybrid stuff the Modern Cluster Can have. This tool will provide a high level checklist and a detailed report. 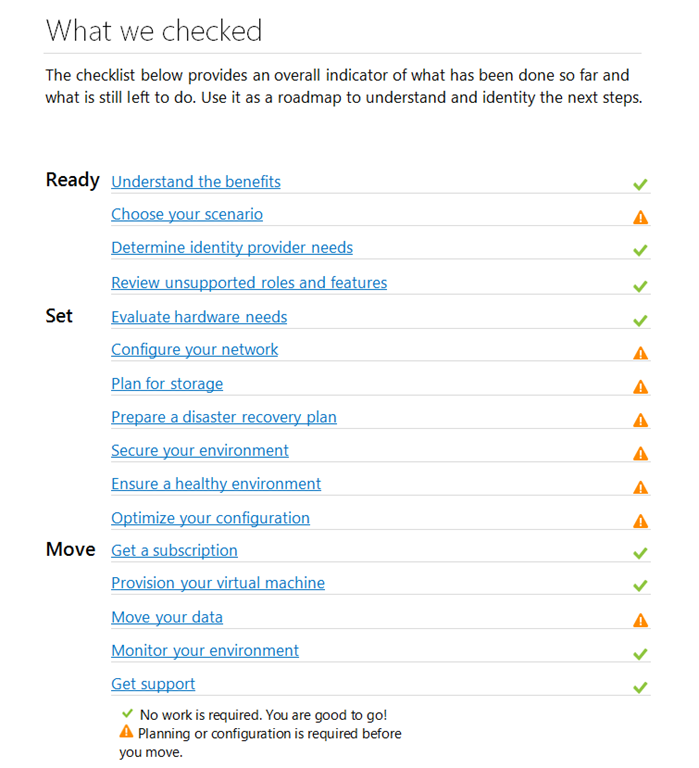 The checklist outlines areas which are ready to move and areas which may need additional configuration or design changes. 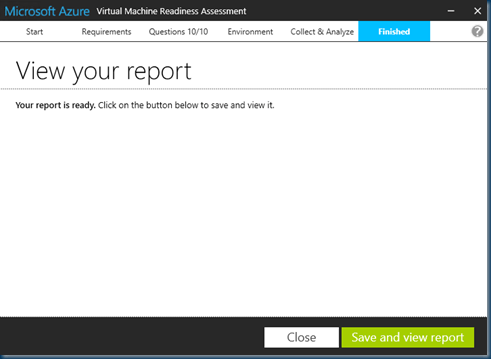 The detailed report offers expert guidance and advice tailored to your environment. 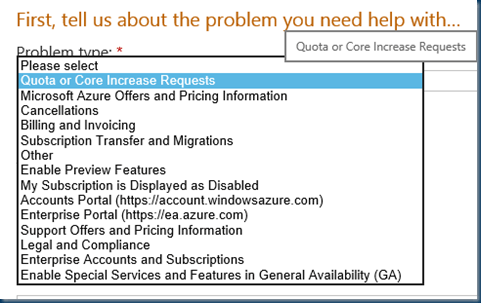 Your report shows areas that are ready to move and areas that need additional configuration or design changes. 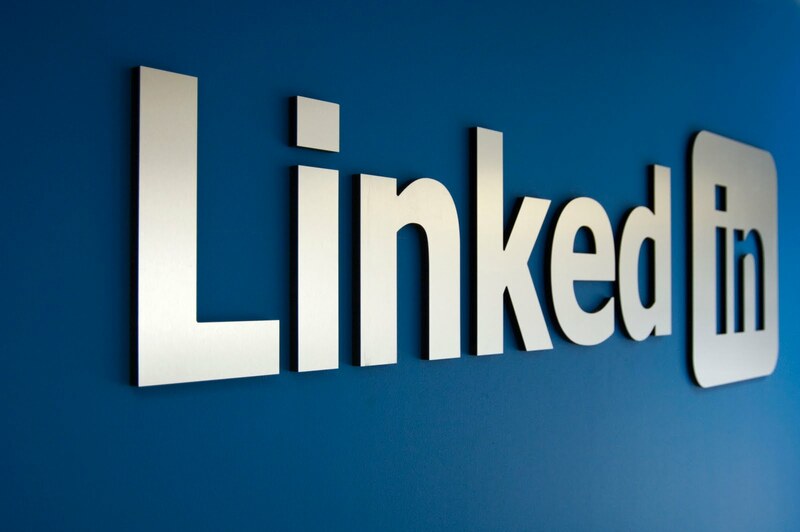 Click into each area to get expert guidance and advice tailored to your specific situation. 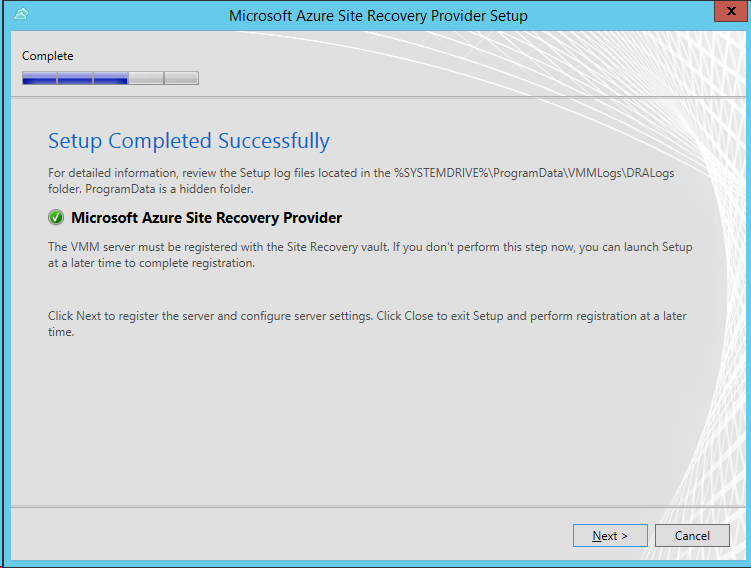 The installation is real easy but I noticed that the discovery is not always working. 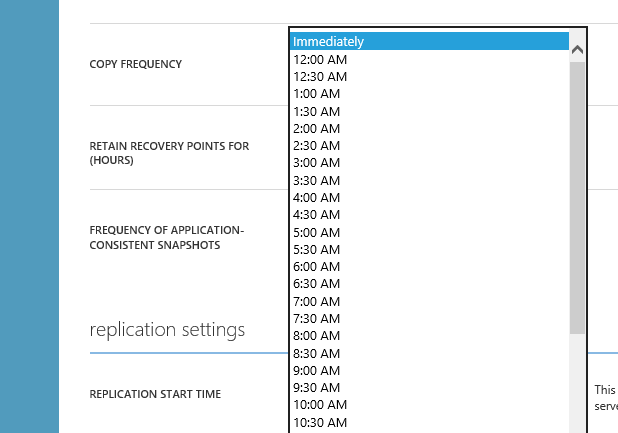 In my case I did run this on the SQL server. When the Installer is finished I ran the Assessment toolkit. 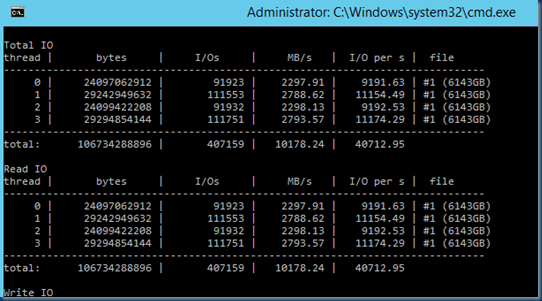 In this case I used SQL server the method is the same only the result is different. Yes it is not the MAP toolkit just one server at the time. 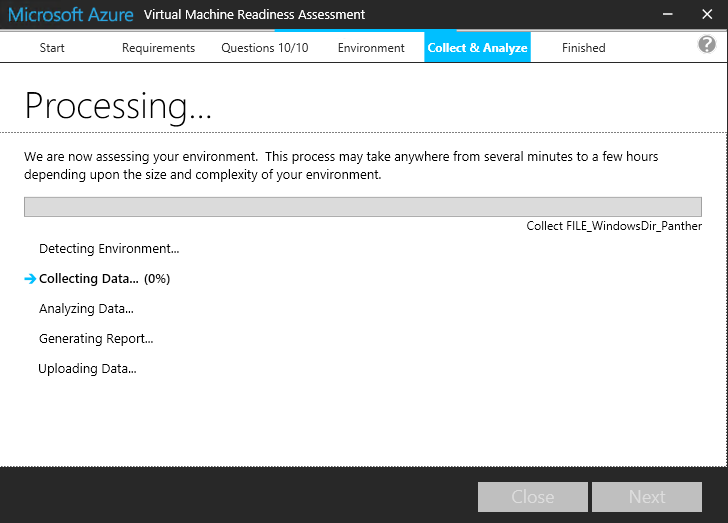 after a little coffee break the scan is done and the report is ready. You can save and edit this as it is a Word file. 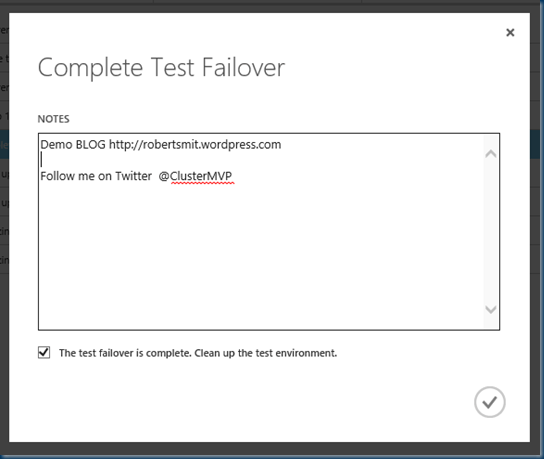 As I did the Next Next method I need some planning when I migrate this SQL server to Azure. the report is in detail and 62 pages long. It could be handy if you don’t know anything about this server. 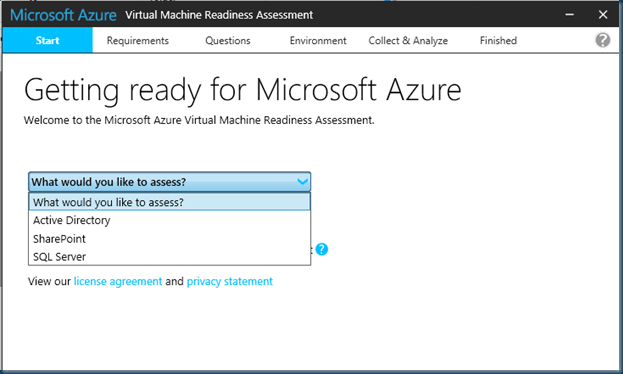 But if you want to test the migration and already running VMM and have a S2S VPN to Azure read my other blog post. 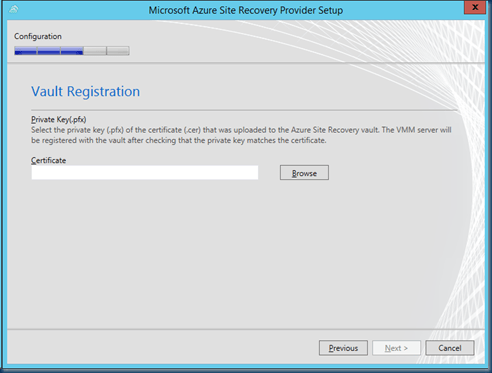 Azure Site Recovery can help you protect important services by coordinating the automated replication and recovery of System Center private clouds at a secondary location. 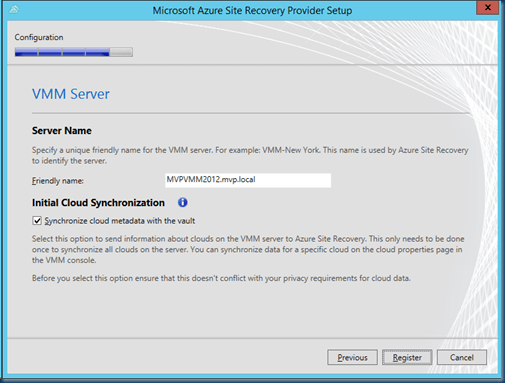 The ongoing asynchronous replication of each VM is provided by Windows Server 2012 Hyper-V Replica and is monitored and coordinated by Azure Site Recovery. 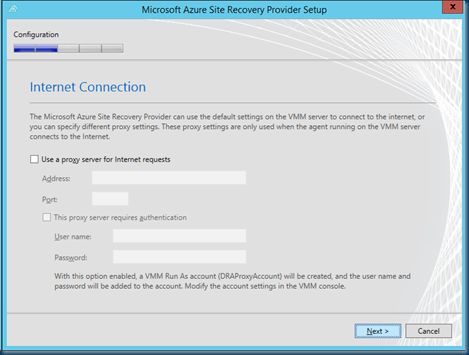 In the event of a site outage at the primary datacenter, VMs can be brought up in an orchestrated fashion to help restore service quickly. 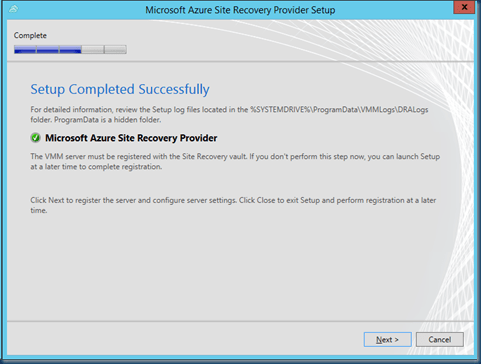 This process can also be used for testing recovery, or temporarily transferring services. 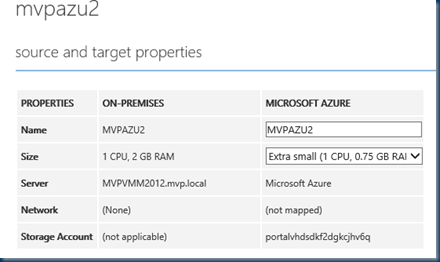 Now you can replicate virtual machines from your primary site directly to Azure, instead of your own secondary site. 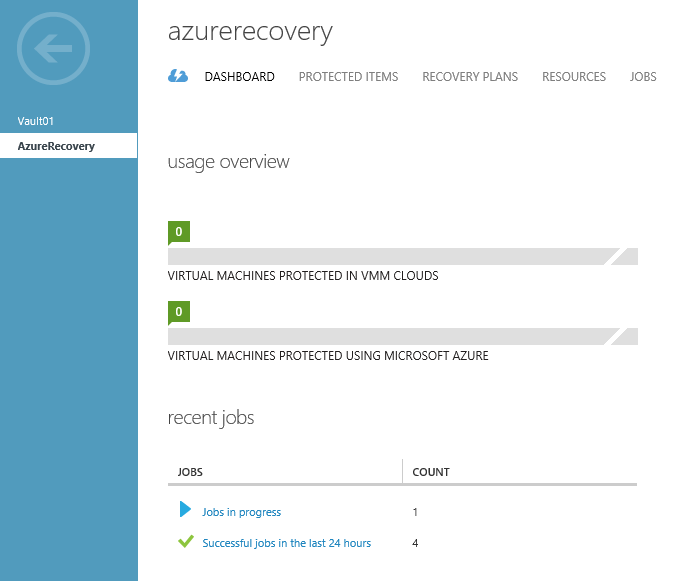 In the event of an outage at the primary site, the service orchestrates the recovery of virtual machines in Azure. 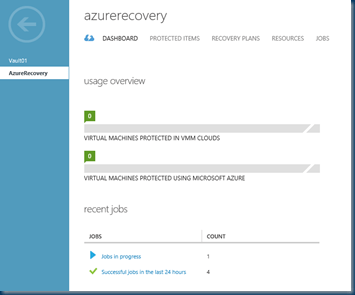 As there is already Azure Recovery manager using Azure to protect you VM between two VMM Servers. 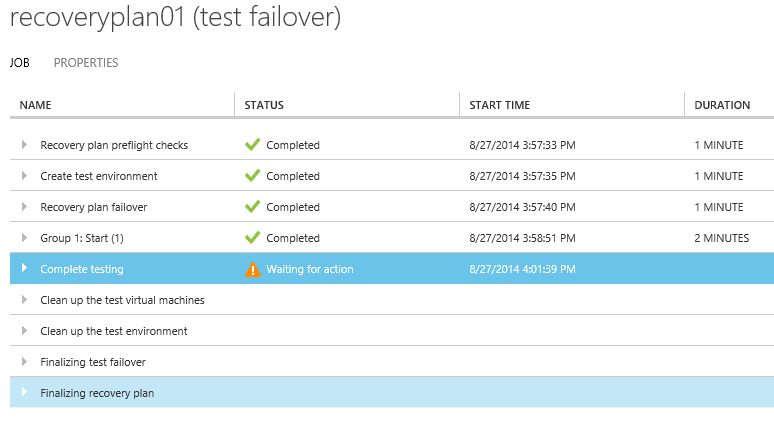 and now there is in a preview a new option Failover to Azure. 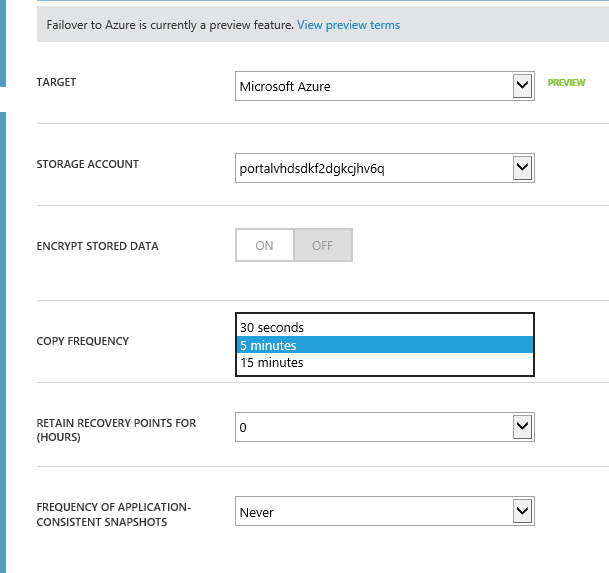 This is a great new option and will open the door to new options for your private cloud. 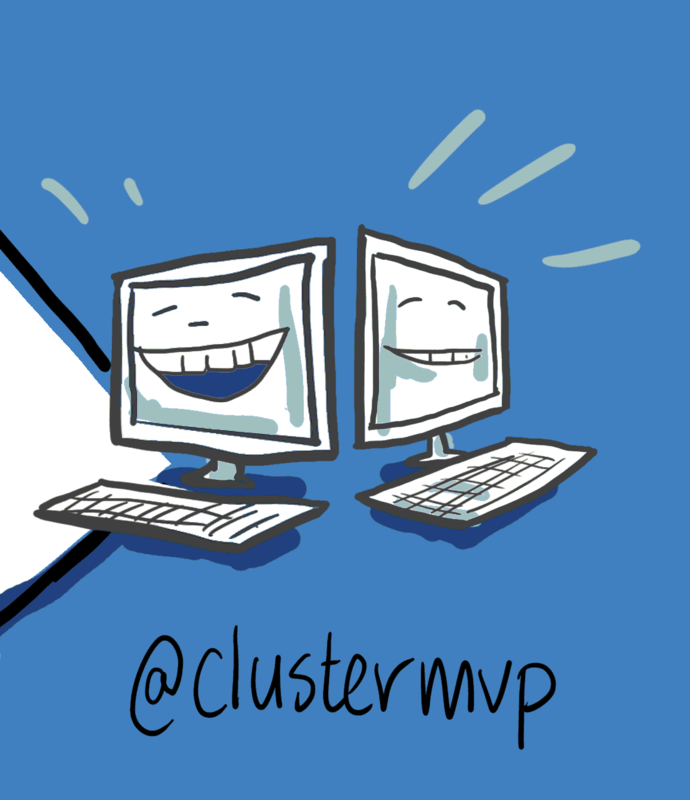 On-premises to cloud: Replicate Hyper-V virtual machines on a source VMM server or cluster to another VMM server or cluster located in the same datacenter or in a different site. 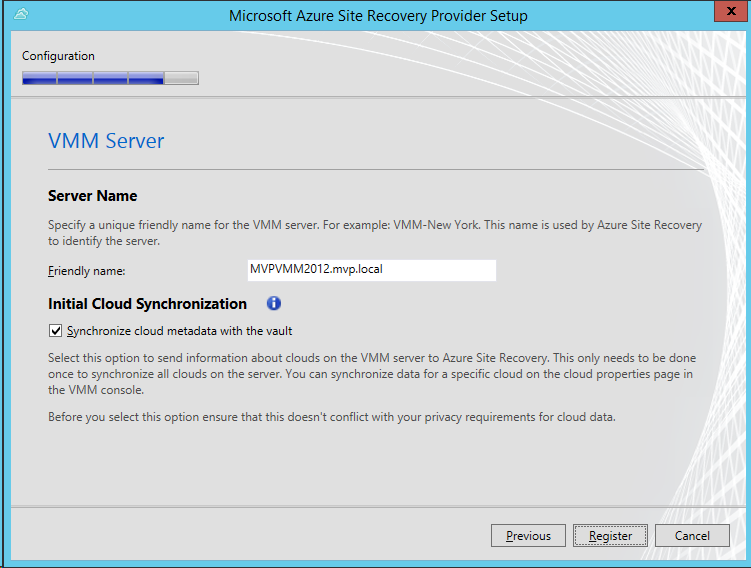 You can also replicate between clouds on a single physical or virtual VMM server. 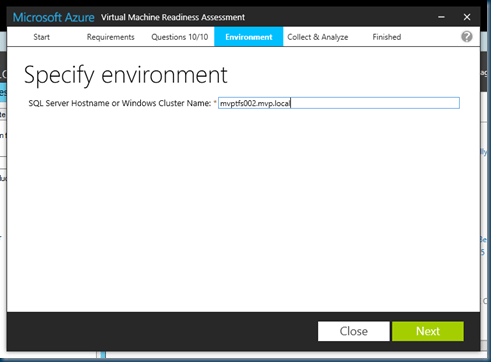 On-premises to cloud: Replicate Hyper-V virtual machines on a source VMM server or cluster to Azure storage. 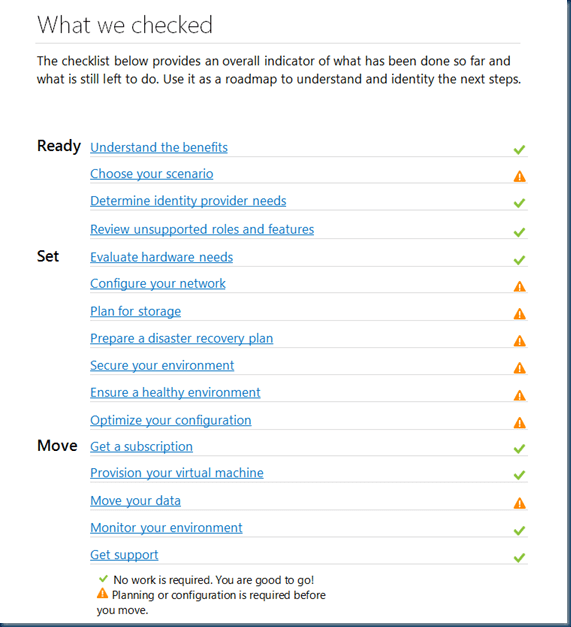 In this step by step I show you what steps to take for a working situation. 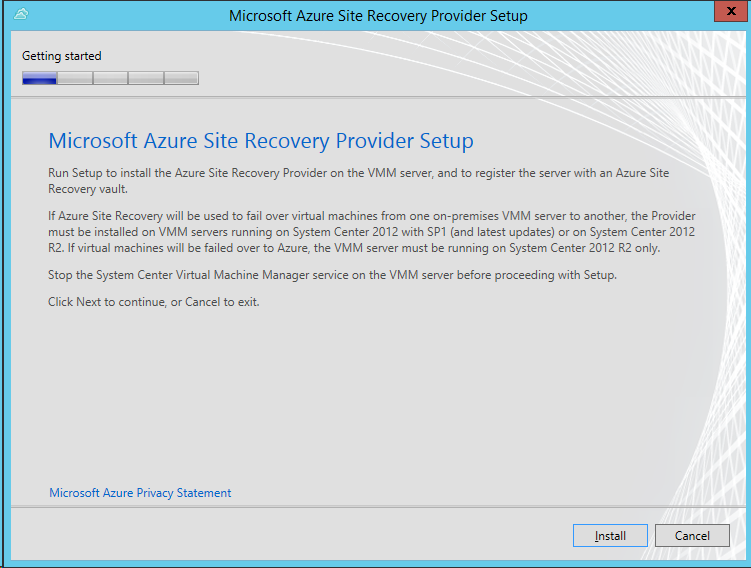 We need a VMM Server and An Azure Account with the Site Recovery Preview. 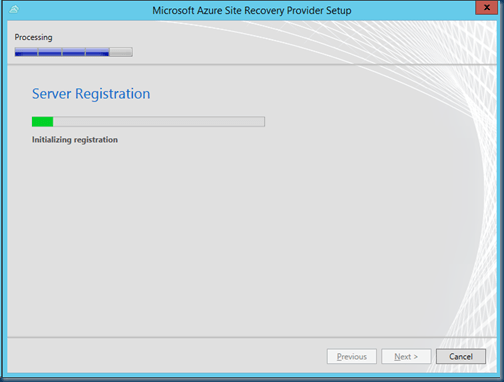 When opening the ASR ( azure Site Recovery ) We can select the recovery option. 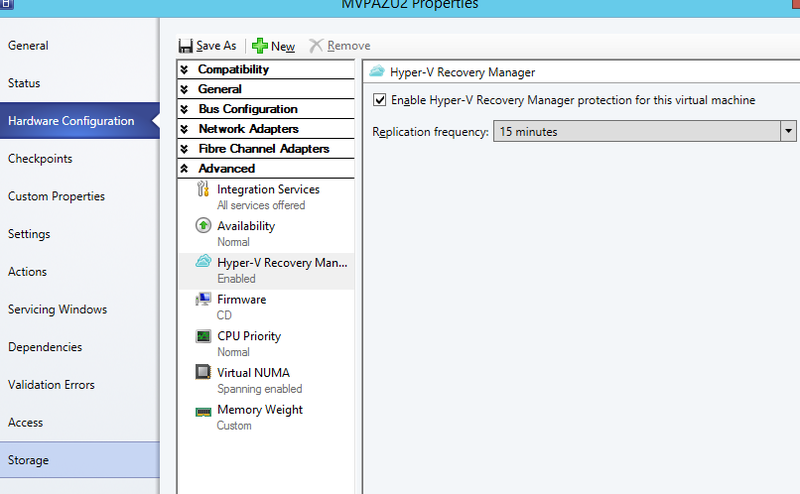 Lets pick hyper-v to Azure Recovery. If you do not have a Certificate in place already below is the line to create a Self signed certificate. This Certificate us needed to talk to and from the VMM Server to Azure. 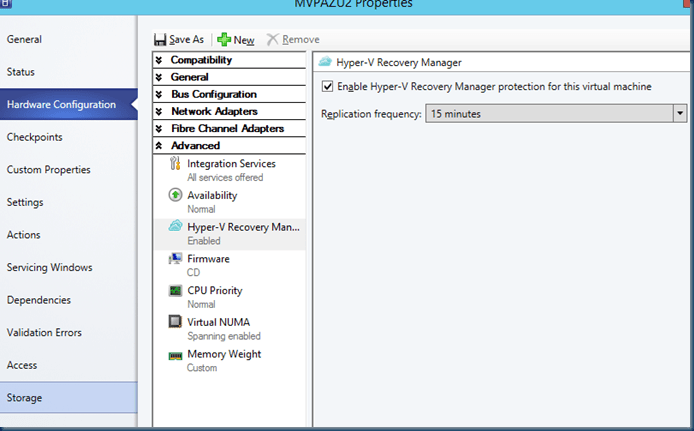 I already did the Hyper-v vs Hyper-v See my blog post. 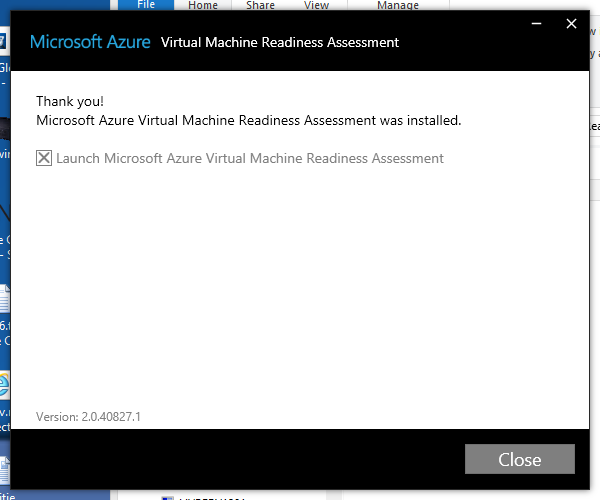 We are installing this on the VMM Server! 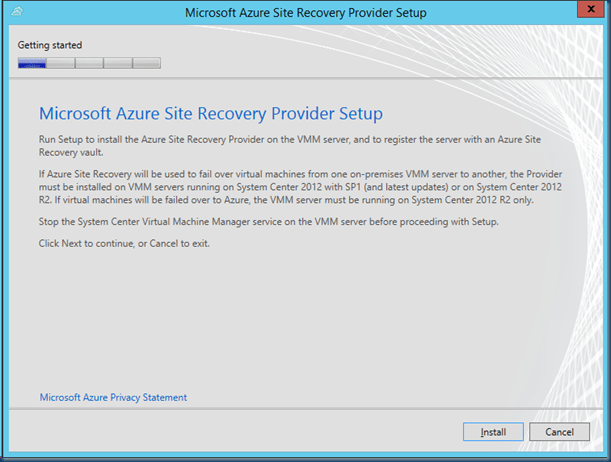 After downloading we kick the setup and as we do not read all the text, I need to stop the VMM services! The setup does not need many words it is a basic next next finish setup. 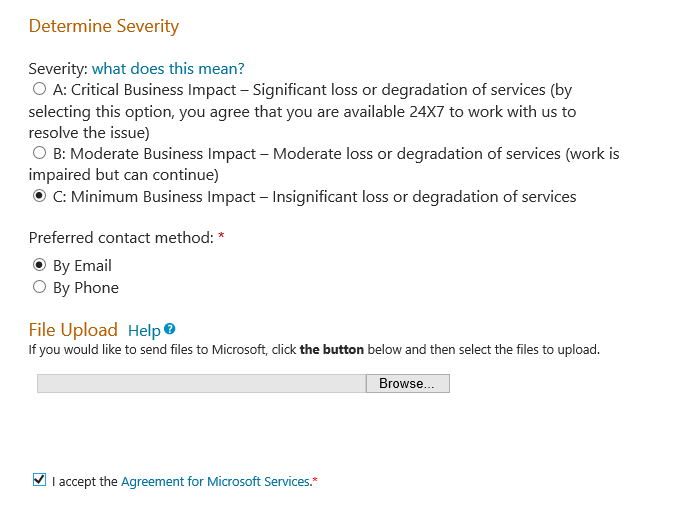 However we need to use the certificate that we created and imported in Azure in the first step. 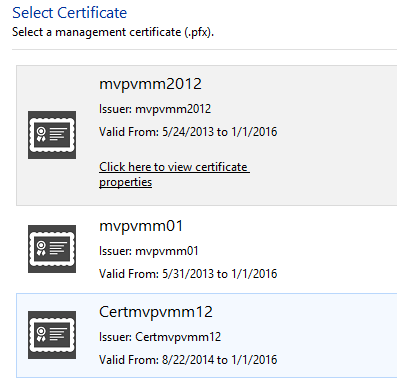 I have already multiple Certs in my VMM I just need to pick the right one. 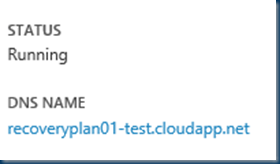 So naming convention is important! After Selecting the Key we need a vault key ! 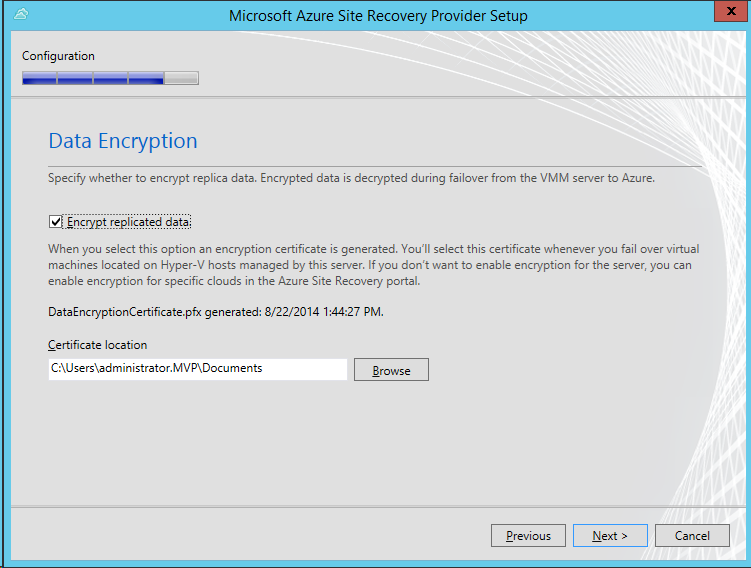 this key is in Azure generated and can be copied from azure to the VMM server. We copy the Key and past the key in the setup an Next. I pick enable encryption just to make sure I do have a secure line. 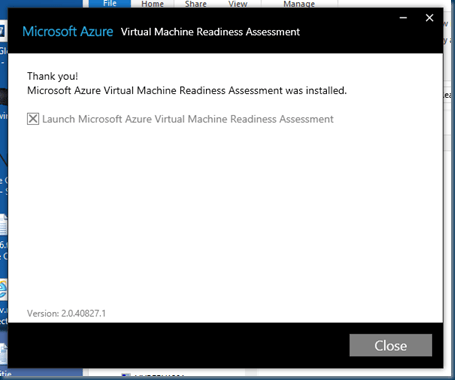 And your VMM server is ready make sure the services is started again. 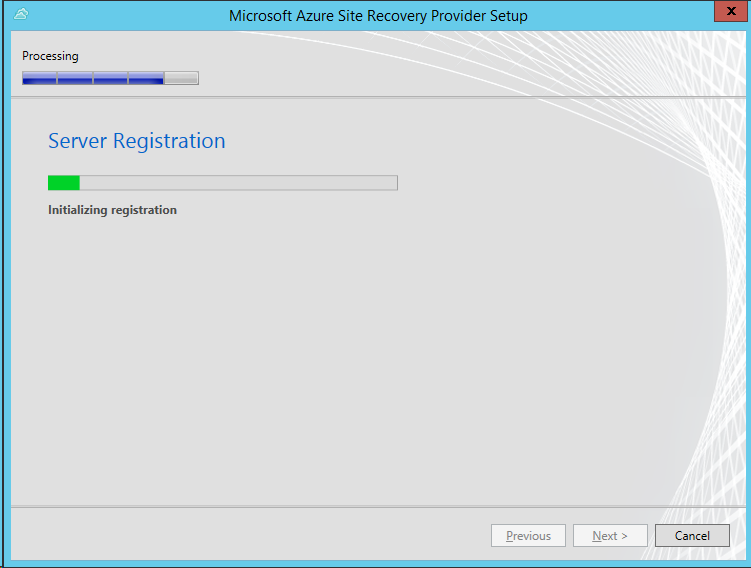 Download the Microsoft Azure Recovery Services Agent, and install it on Hyper-V host servers. The installation is just a quick install no screens to capture or things to do. The copy Frequency is the Hyper-v Replica between Hyper-v and Azure In windows Server 2012R2 there is the option 30sec,5&15 minutes Azure is not changing this. pick any option you want but In my case I use 15 min that is more enough for me. one this is really nice that is the Replication time most thing are starting just wen you press enter ;-( but here you pick a scheduler. Pick any time you want but I pick do this now, there is a 60GB VM that needs to get uploaded to Azure. 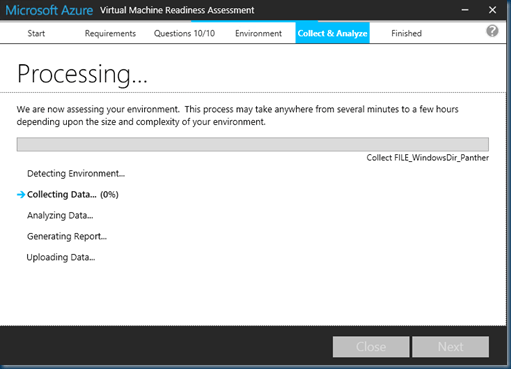 the next step is wait for Azure to finish the settings This can take a few Minutes. 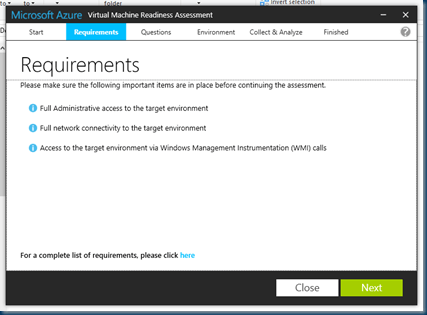 yes you can configure other steps but I like to make sure this step is successful. 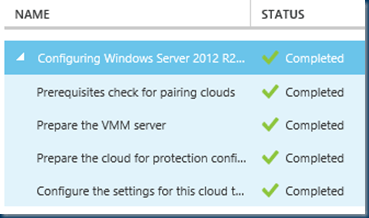 Now the Cloud is Configured We enable protection for My VM’s. 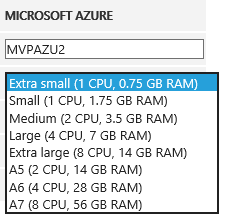 I’ll pick the MVPAZU2 VM and again I’ll wait until Azure is finishing it process. 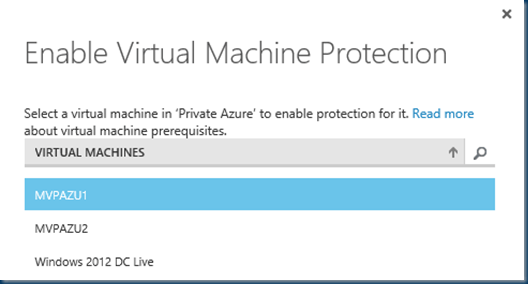 After this the window will show you the VM and unprotected. 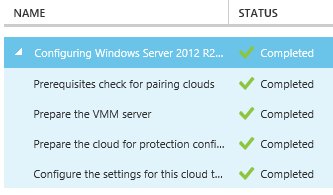 You can select more VM’s but for this demo I’ll use just one VM. I’ll pick medium and hit the save button at the bottom! In the Resources of the Vault we need to link the Networks. 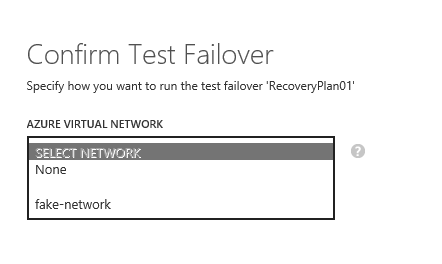 If you don’t have a network in azure you will need to create one. 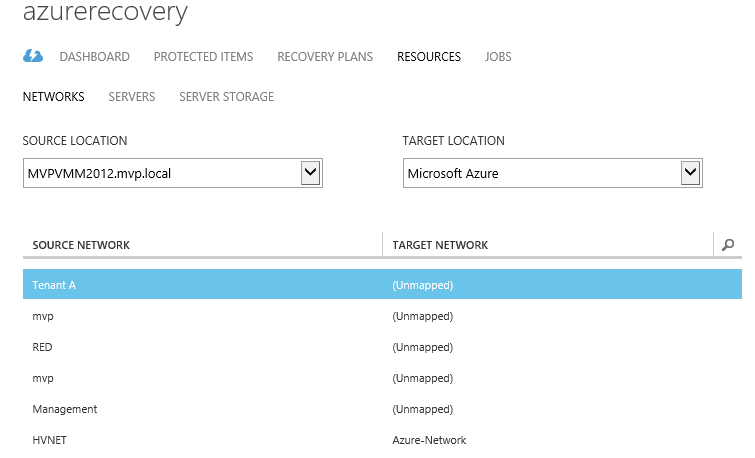 Pick the network from the Protected network and link it to the Azure network. 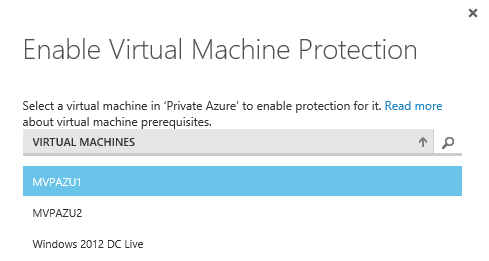 In my case the azure network is connected with a S2S VPN to my private network So I’ll use this network. 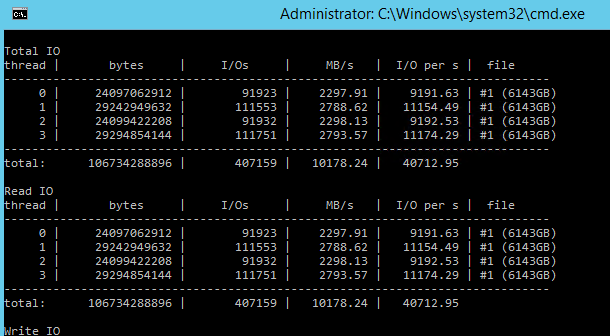 the IP stack is showing. 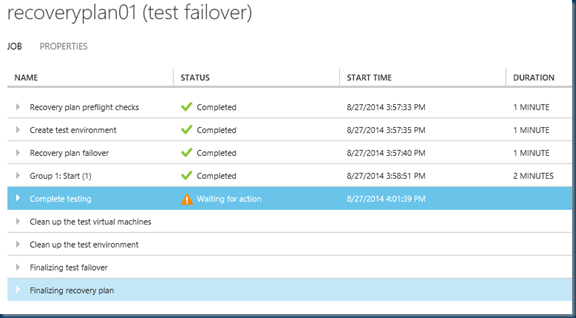 In the Hyper-v Manager you can see the progress. 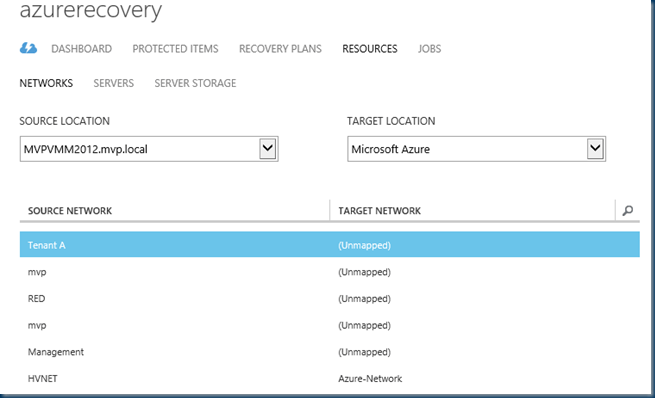 It would be nice to have it also in Azure. 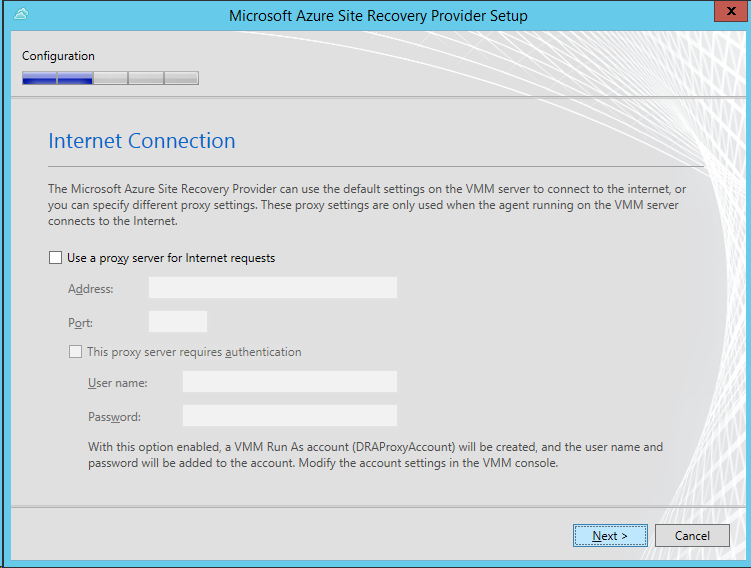 My internet connection is a 1 GB but the internal routers and the networking on my Hyper-v Server needs some attention. 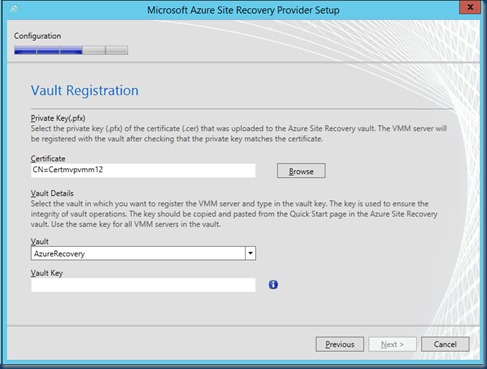 And if we are checking in VMM the Recovery Settings it is set to 15 minutes just as we set in Azure. 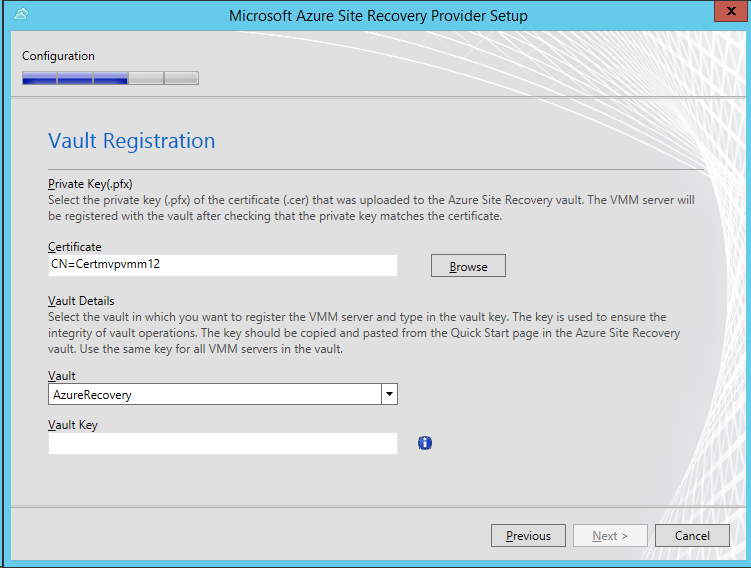 After the Replication is ready You can see that there is one VM protected and we can create a recovery plan. 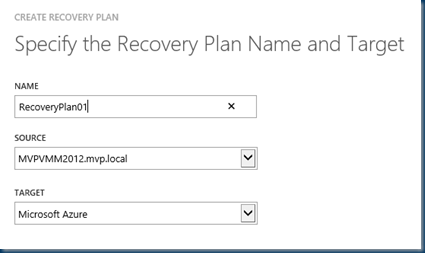 Now that we have created a recovery plan this is just a step to link the VM to a recovery plan from or to Azure and what VM. 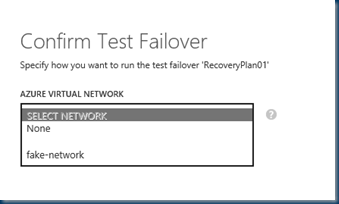 Now that the Recovery Plan is is ready we can test this with a test failover. 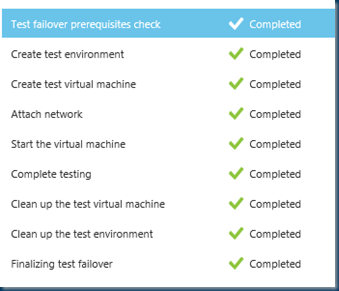 As we check the test failover a popup ask me on witch network the VM should connect. In the Job status you can see a step by step overview and for completing you have to check the complete option on the bottom. 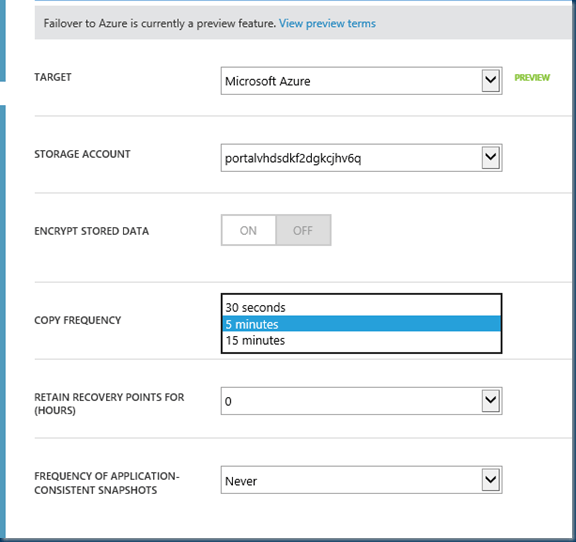 With these Easy steps you can use Microsoft Azure As your failover DataCenter and even With One Hyper-v Server you can be always up. 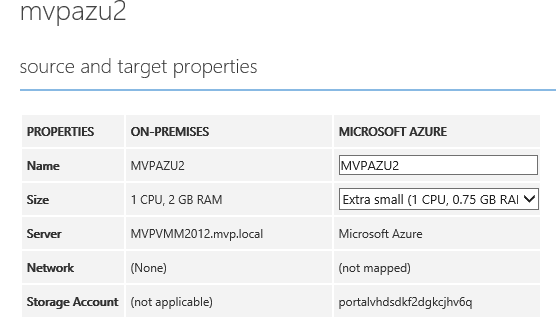 Deployment prerequisites: On-premises to Azure. 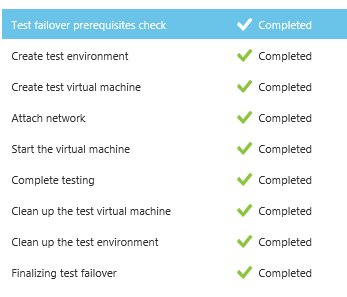 Check deployment requirements, and complete the planning steps before you begin deployment. 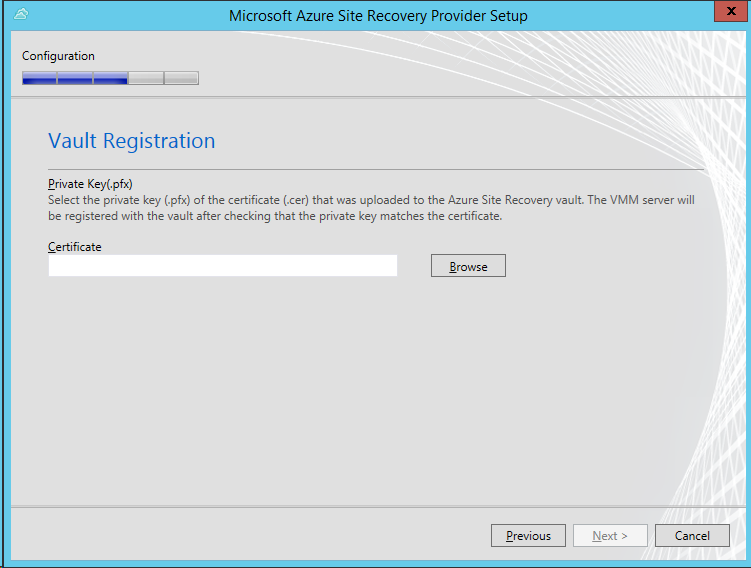 Step 1: Create and configure an Azure Site Recovery vault: On-premises to Azure— Create a vault and specify a vault key. 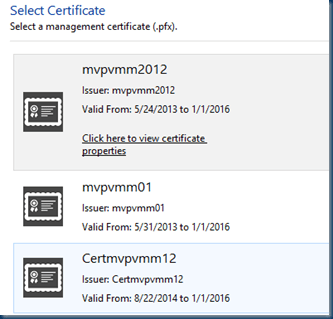 Upload a management certificate (.cer) to the vault. 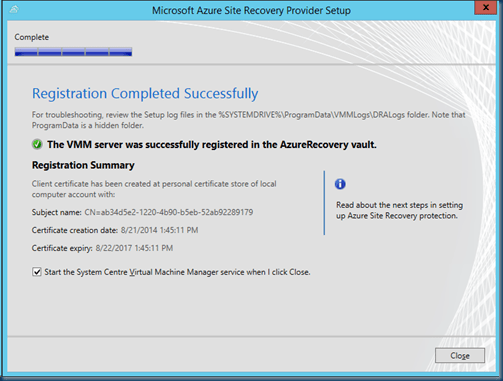 Step 2: Install the Azure Site Recovery Provider: On-premises to Azure— Install the Hyper-V Recovery Manager agent on the VMM servers you want to register in the vault. 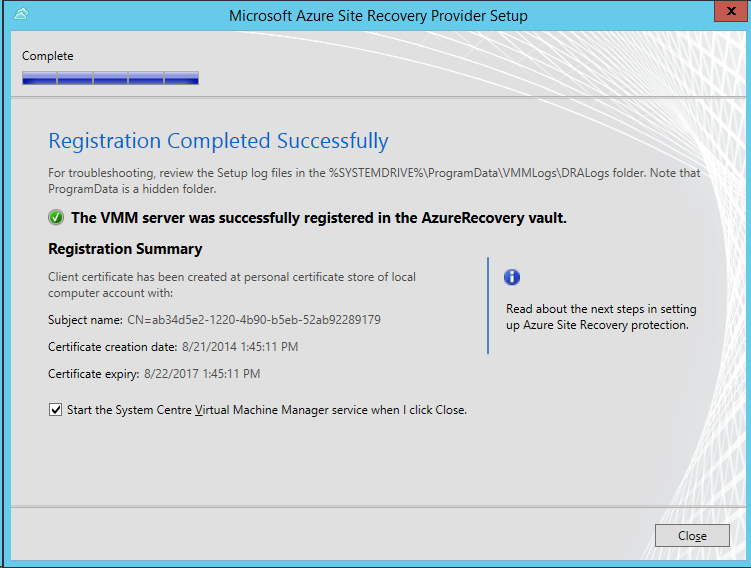 Step 3: Install the Azure Recovery Services Agent: On-premises to Azure— Install the Azure Recovery Services agent on Hyper-V host servers located in the VMM source clouds you’re protecting. 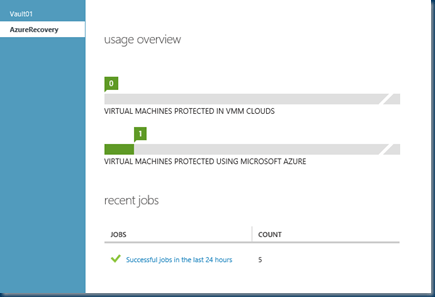 Step 4: Configure protection settings for VMM clouds: On-premises to Azure— Specify protection settings for the cloud, including source and target settings, recovery points and snapshots, and initial replication settings. 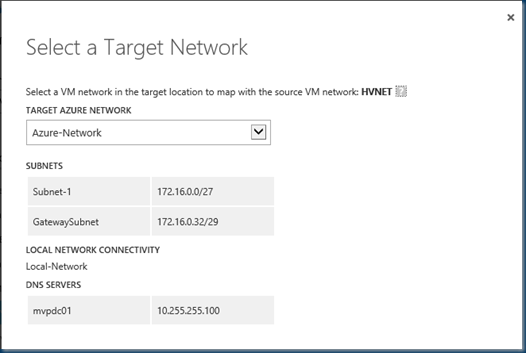 Step 5: Configure network mapping: On-premises to Azure—Create mappings between VM networks on the source VMM server and destination Azure networks. 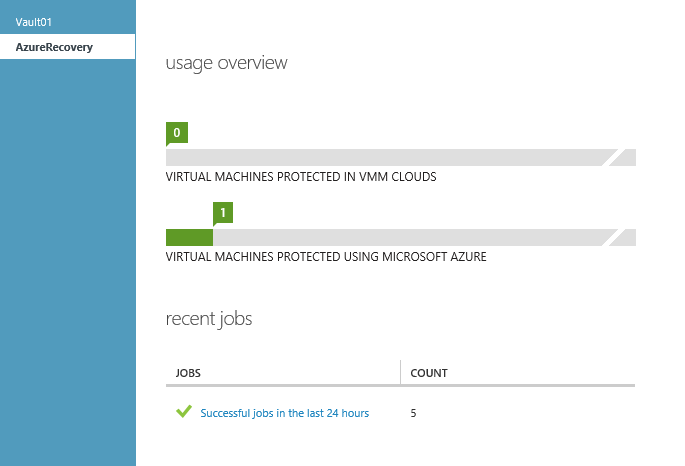 Step 6: Enable protection for virtual machines: On-premises to Azure— Enable protection for virtual machines. 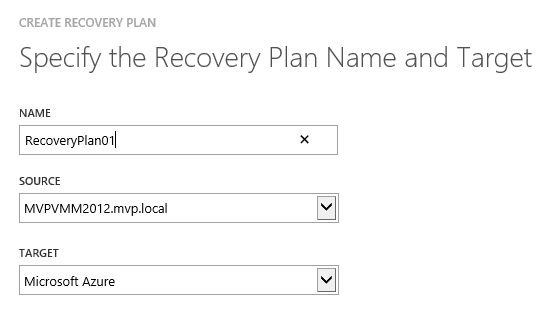 Step 7: Create and customize recovery plans: On-premises to Azure—Create and customize recovery plans that specify how virtual machines should be grouped and failed over.